Asian casino operator Melco Resorts and Entertainment Ltd reported net income of US$81.2 million for the fourth quarter of 2017, up by 87.5 percent compared to a profit of US$43.3 million in the same period of 2016. The firm also announced a 50-percent increase in its quarterly dividend. The company – which operates casinos in Macau and Manila – said net revenue for the three months ended December 31 was US$1.33 billion, up 11.7 percent from the prior-year period, despite mixed results at its Macau properties. The firm said in a press release on Thursday that the increase in net revenue was attributable to higher rolling chip revenues across all properties and higher mass market table games revenues in Studio City and City of Dreams Manila, “partially offset by lower mass market table games revenues in City of Dreams in Macau”. Adjusted property earnings before interest, taxation, depreciation and amortisation (EBITDA) was US$339.8 million for the fourth quarter of 2017, as compared to adjusted property EBITDA of US$304.3 million a year earlier, representing an increase of 11.7 percent. The year-on-year improvement in adjusted property EBITDA was supported by higher contributions from Studio City and Altira Macau – driven by increased casino revenues – despite lower contribution from City of Dreams in Macau (pictured). Nasdaq-listed Melco Resorts increased its normal quarterly dividend payment by 50 percent, to US$0.045 per ordinary share, equivalent to US$0.135 per American depositary share (ADS). The dividend will be paid on March 7, it said. 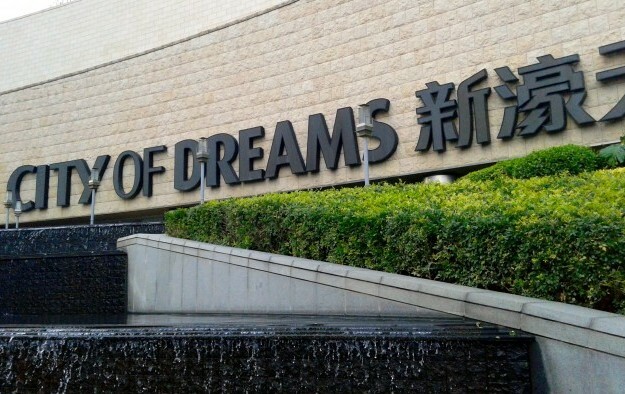 The casino operator’s quarterly results were negatively impacted by soft mass at City of Dreams in Macau, which saw its revenue for the period fall by 7.3 percent year-on-year, to US$612.6 million. City of Dreams generated adjusted EBITDA of US$169.7 million in the fourth quarter of 2017, down 10.1 percent from a year earlier. “The year-on-year decrease in adjusted EBITDA was primarily a result of lower mass market table games revenues, partially offset by higher rolling chip revenues and recovery of previously provided doubtful debt,” said the firm. Commenting on Melco Resorts quarterly results, brokerage Sanford C. Bernstein Ltd said the miss in fourth quarter estimates “was largely [related to] low VIP hold in Macau (especially in direct VIP where low hold magnifies the impact due to commissions paid on rolling rather than revenue share)”. “Macau VIP hold rate was in the lower end of normal range, but low for the turnover based VIP business,” said analysts Vitaly Umansky, Zhen Gong and Cathy Huang. “The biggest issue at Melco Resorts was the continued decline in mass hold and poorer than market growth in table drop at City of Dreams [in Macau],” they added. Rolling chip volume at City of Dreams in Macau totalled US$11.4 billion for the fourth quarter of 2017, compared to US$11.1 billion in the prior-year quarter. The rolling chip win rate was 2.7 percent, versus 2.6 percent in the fourth quarter of 2016. Mass market table games drop at the flagship property increased 10.5 percent year-on-year to approximately US$1.3 billion in the three months to December 31. The mass market table games hold percentage however was 28.6 percent in the fourth quarter of 2017 compared to 36.3 percent a year earlier. “Mass table drop at the property increased at 7-percent quarter-on-quarter (10.5-percent year-on-year), lagging the overall market and mass gross gaming revenue underperformance was exasperated by hold of only 28.6 percent … and the third consecutive quarter of sequential hold decline – a poor reflection on City of Dreams’ management,” said the Sanford Bernstein team in a Thursday note. Melco Resorts announced a fortnight ago several management changes, including the departure of Macau casino industry veteran Gabriel Hunterton, who served as property president of casino resort City of Dreams in Macau for about a year. David Sisk – until recently president of Melco Resorts’ 60 percent-owned Studio City – was named president of City of Dreams Macau. Commenting on the management changes, Melco Resorts’ chairman and chief executive Lawrence Ho Yau Lung said that the company recognised that at City of Dreams it wasn’t “keeping pace with the market” in terms of the mass and premium mass segments. “There was a leadership issue. As senior leaders of the company we need to get the best out of our people and have all of our teams working together in unison, and I felt that the prior property president couldn’t get the team to be at their best,” said Mr Ho during a Thursday conference call with investment analysts to discuss the fourth quarter results. Replacing Mr Sisk as Studio City property president is Geoffry Philip Andres, until recently president of City of Dreams Manila in the Philippines. The City of Dreams Macau property is undergoing a major revamp. The Crown Towers hotel tower at the property was renamed Nüwa with effect from last month. Another accommodation facility at the casino resort – previously branded the Hard Rock Hotel – is currently operating under the name ‘The Countdown’ and will get a new branding after that time. A new hotel tower – the US$1-billion Morpheus – is due to open in the first half of 2018. The new hotel will feature approximately 780 hotel rooms, suites and villas. Brokerage Union Gaming Securities Asia Ltd said in a Friday memo that City of Dreams “continues to underperform” the Macau market, but that it believes that might change in the near future. “We remain very optimistic that the property is nearing an inflection point with the mid-year completion of Morpheus, allowing the property to get back on track with its traditional high-end focus (VIP + premium mass),” said analyst Grant Govertsen. For the quarter ended December 31, Studio City reported net revenue of US$369 million, compared to US$246.2 million in the fourth quarter of 2015. The property generated adjusted EBITDA of US$91.5 million in the fourth quarter of 2017, up by 61.4 percent in year-on-year terms. Rolling chip volume jumped 338 percent year-on-year to US$5.7 billion for the fourth quarter of 2017, as the firm introduced VIP gaming operations at the property in November 2016. Mass market table games drop at Studio City increased to US$848.2 million compared with US$683.2 million a year earlier. The mass market table games hold percentage was 26.1 percent in the three monthst to December 31, compared to 26.9 percent in the fourth quarter of 2016. There was some limited commentary from Melco Resorts management about the second phase of Studio City, but still no definitive information in terms of timing or capital expenditure. Plans are being developed for the expansion of Studio City, an additional development on the land on which the casino resort is located. On the conference call, Mr Ho said a “key component” in phase two would be “more hotel rooms”. The management said it would discuss the potential initial public offering (IPO) of Studio City citing regulatory filings. Studio City International Holdings Ltd – the entity that controls the casino resort in Macau’s Cotai district – submitted in August a draft registration statement for a possible IPO in the U.S.
Melco Resorts reported a positive performance at City of Dreams Manila in the Philippines. For the quarter ended December 31, net revenue at City of Dreams Manila was US$167.5 million, up 15.8 percent from the prior-year period. The property generated adjusted EBITDA of US$53.8 million in the fourth quarter of 2017 compared to US$50.2 million a year earlier. Rolling chip volume at the Manila property totalled US$2.9 billion for the fourth quarter of 2017, with a rolling chip win rate of 3.1 percent. Mass-market table games drop rose by 27.0 percent year-on-year to US$189.2 million in the three months to December 31. For full-year 2017, Melco Resorts reported net revenue of US$5.3 billion versus US$4.5 billion in the prior year. Net income nearly doubled to US$347.0 million, compared to US$175.9 million in full-year 2016.